Users must agree to and abide by the terms and conditions set by Whizolosophy. All payments are at the discretion of Whizolosophy. Whizolosophy has the right to refuse payment for any reason. In addition to taking action, you can earn points for receiving pageviews on your original content. For each pageview your original content receives, you will earn 1 point. For each original post that receives 1000 pageviews, you will receive a 2000 point bonus. In total, you will receive 1000 points for 1000 pageviews, plus 2000 bonus points, equalling 3000 points. For each original post that receives 10,000 pageviews, you will receive a 20,000 point bonus. In total, you will receive 10,000 points for 10,000 pageviews, a 2000 point bonus for reaching 1000 pageviews, and 20,000 bonus points for reaching 10,000 pageviews, equalling 32,000 points. *Each action a user takes on Whizolosophy is subject to review. This is to ensure there is no spamming, trolling, harassing, posting inappropriate and/or irrelevant content, and anything else that is deemed inappropriate by Whizolosophy. How Many Points Do I Need To Redeem a Reward? You need to earn 2500 points to redeem a reward. Currently, we offer e-gift cards to Amazon, Starbucks, and Walmart. Does The Content I Contribute Have To Be My Own Content? No, you can contribute anything that has inspired you or changed your life. Just make sure to give the original author credit! Anyone caught plagiarising will be disqualified from Whiz Rewards and subject to additional action taken. In order to be eligible for points per pageview, your contribution must be original content. Does It Matter What I Post? No, you are encouraged to contribute anything and everything that has impacted you and shaped you into the person you are today! Whizolosophy values opinions and expertise from every philosophy, religion, culture, sexual orientation, and worldview. If you have something to share, share it on Whizolosophy.com! There is no catch! We want to reward our users for helping us build the world’s largest database for personal and planetary improvement.  Once a user redeems their points for a Whiz Reward, Whizolosophy will review their account to ensure that the user is eligible for Whiz Rewards. Actions that will disqualify a user from Whiz rewards are: Spamming, Trolling, Harassing, Hate-speech, posting inappropriate content, and anything else Whizolosophy deems to be inappropriate. I Have Redeemed My Reward. How Will I Receive It? Whizolosophy sends out gift cards every Friday via email. Make sure you have a valid email address and your profile has the correct Country of Residence so we can send you the correct gift card. All gift cards are paid in Canadian Funds, but you will receive a gift card for your Country of Residence. The exchange rate on the day of the payout will be used to calculate your Country’s currency equivalent to the CAD amount.